Completed Interactive Qualifying Project (IQP) at the Tirana, Albania Project Center. Shamsur was interested in entrepreneurship, but before his IQP, he'd never had such hands-on exposure to and experience with it. 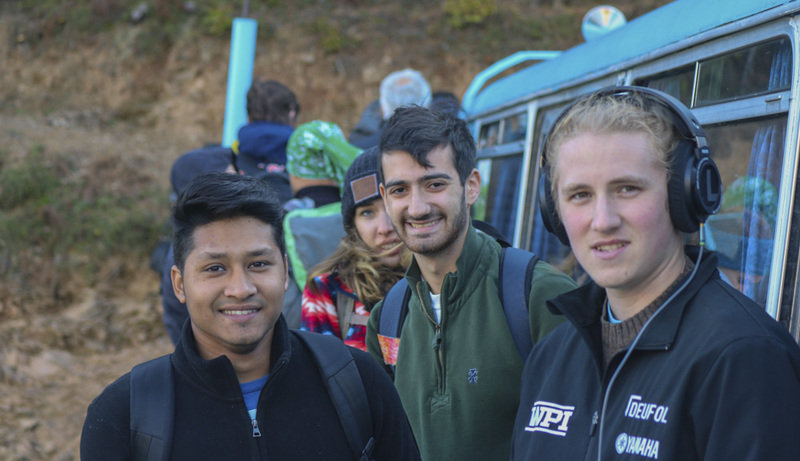 What he learned in Albania strengthened his interest, and he’s now considering pursuing entrepreneurship after he graduates. 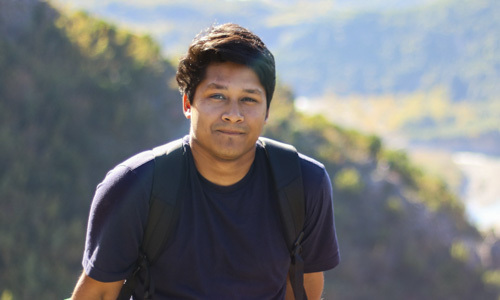 He feels that the most valuable part of his IQP was the exposure to new cultures, people, languages, and environments—all while working on a project, so nothing was taken away from his academic experience. He appreciates how much the experience broadened his perspective and helped him grow as a person and a scholar. Being able to discover what he truly enjoyed. WPI's curriculum enabled him to pick classes from different engineering disciplines along with his major. The flexibility allowed him to not only focus on his major, but broaden his skillset and become more well-rounded. HIs IQP experience! Traveling to Albania and working on something he’s always been interested in was something that had a huge impact on him. Work in the automotive industry to learn and grow more. Eventually own his own business. Wake up and get ready to meet the team. Meet up with the team, usually at one of our apartments, and decide where to work: at the office, a café, or just our apartment. We’d go to our sponsor’s office once or twice a week with updates about the project and discuss what needed to be done. Start working on our project. Usually divide up our individual sections for research or writing. Sometimes we prepared for interviews that we conducted. Go to lunch; we went to a different place almost every day! Sometimes we’d also work on or discuss our project while in the restaurant. Head out for coffee and work for about an hour or two on our project. Come back to the apartment and continue working on our own. We finish up work for the day, then relax. Some of us nap, others hang out with friends until dinner. Go to dinner with other teams, almost always in Blloku, the block area home to all the best restaurants in Tirana. Walk around Blloku and maybe get a crepe or some gelato. Sometimes get together for a movie, but when we had lot of things to do, we’d get more work done. Set the alarm and go to bed. Wake up and get ready to catch a bus for our hiking trip to Valbona. Leave our apartments in groups and meet up on the main street for our bus. After a 3-hour long bus ride through beautiful scenery like mountains and lakes, we reach the ferry terminal on Lake Koman. It was excruciatingly cold, but beautiful. We take the ferry towards Fier and make stops at a number of islands. Stop for lunch at a small restaurant somewhere between Fier and Valbon where we have absolutely delicious traditional Albanian food. Recharge and get ready to hit the road again. Make a stop in Valbona, where a concert is taking place as a protest to stop building a hydroelectric dam in the Valbona River in order to conserve the ecological diversity. After some Turkish coffee and good music to nourish our souls, we start our journey again. Reach our hotel in Valbona, a beautiful place surrounded by mountains, far away from the city. Our host at the hotel prepares a delicious meal, which we enjoy with the other guests. The food, music, and dancing is fantastic. Our tour guide also taught us their traditional dance. Go for a walk to explore the place. The night sky is absolutely clear, so we decide to sit outside for stargazing. Come back to our rooms and go to bed, everyone excited about the next day, when we’ll take our long hike across Valbona. The project-based curriculum definitely gave me hands-on experience and helped me learn to work in an interdisciplinary environment and develop my communication and interpersonal skills.